CallYourStop is a voice response system for public transport real-time information and other transport news. It can make use of public transport information in a UTMC common database or directly access RTPI servers using RTIG or SIRI protocols. 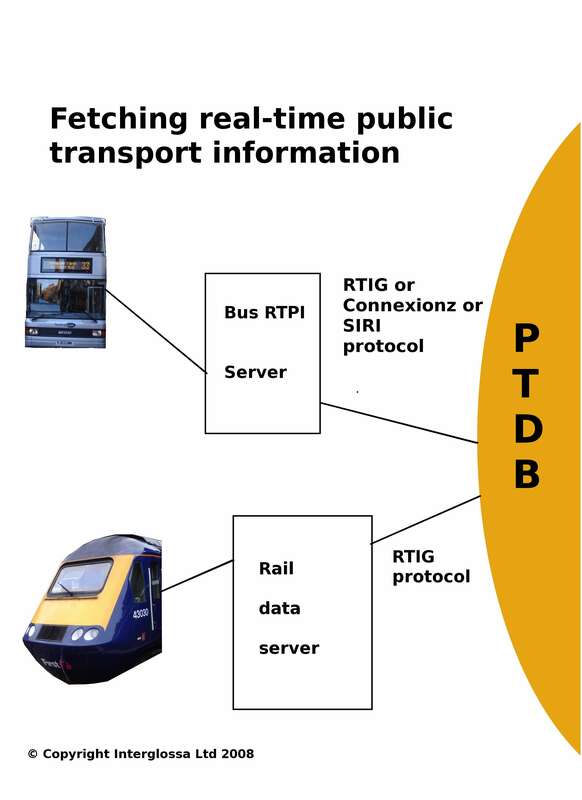 PTDB is an implementation of a UTMC common database containing just public transport timetable and real-time data in the UTMC style (these data objects are not yet standardised by UTMC).